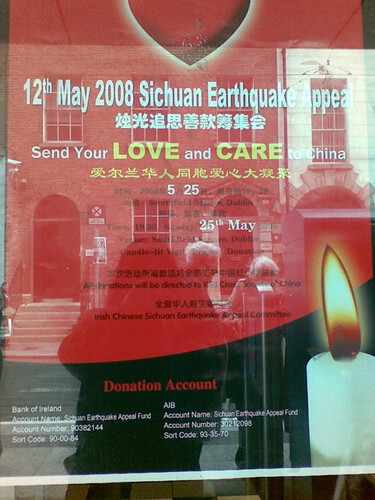 Sichuan Earthquake Appeal 2008, originally uploaded by whykay. Sorry for the bad quality shots, took them with my mobile, did not have the D80 with me today. There’s a discussion at the IBC forum on various charities that are happening around Dublin. 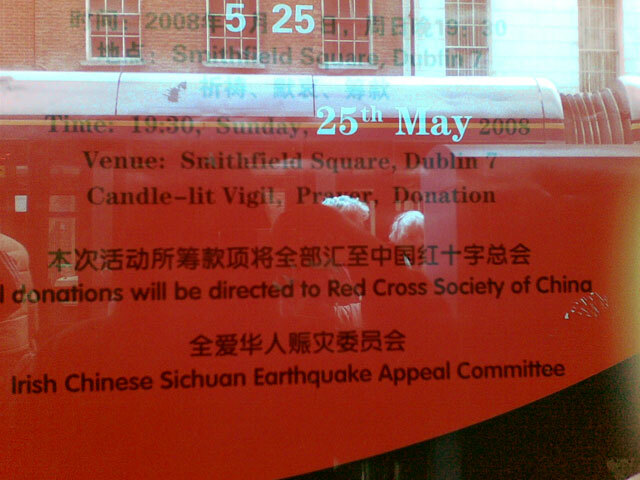 If there are other fund-raisings happening around the country, post it there. 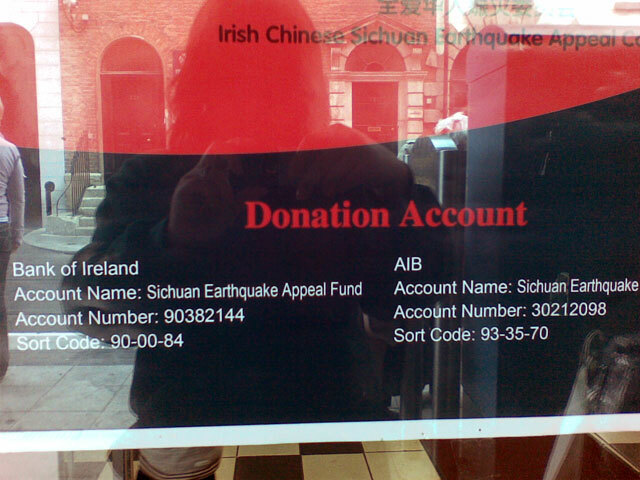 Of course, people can just donate to the Chinese Red Cross via redcross.ie.